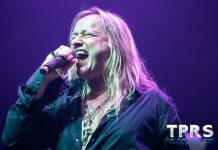 When Dave Tedder of Z-Records approached Lillian Axe last year about doing a live album, the band, who had drifted apart musically several years ago, found it technically impossible. But when Tedder suggested that they put out a CD of unreleased material, they took advantage of the opportunity to release some of the material that had been shelved over the years. According to vocalist Ron Taylor, they had always hated that so many recorded songs would never get heard. “It was quite an inviting proposition…the true Lillian fans would get a dose of some old and even some newer Lillian songs,” he explained. So they released the “Fields of Yesterday” album on Z-Records in 1999. Like the other Lillian Axe records, this release may be hard to find, but it available as both a US release and a Japanese Import (with two bonus tracks). The majority of the songs are previously unreleased studio recordings, but there are also a few songs that were written and recorded in guitarist Steve Blaze’s home: “Become a Monster,” “Kill Me Again,” and “Thirst” (Japanese Bonus Track). 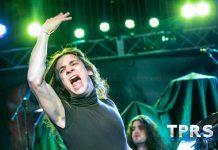 In conjunction with the album release, “the Axe” gave some fans an even bigger dose of old and new songs when they decided to open up for Blaze’s current band Near Life Experience (NLE) in Dallas, TX last January. According to Blaze, it was an “artist formerly known as” kind of thing, and since there was a such a good response, they decided to go ahead and do a few more shows in the United States and in Japan. The band line up for the 1999 reunion included vocalist Ron Taylor, rhythm guitarist Jon Ster, bass player Darrin DeLatte, and lead guitarist Steve Blaze. Craig Nunenmacher of NLE (Blaze’s younger brother) played drums in the absence of Tommy, who is now touring with his current band Godsmack. However, Blaze explained that “right now, people’s heads are in different places, and it is really difficult to get people together to do this more than we have already.” “It was a long history, a lot of great fans, a lot of great records, and great times, but you have to have everyone in synch or it doesn’t work out.” Yet, he hasn’t ruled working with his former bandmates in the future, and possibly releasing a live album with them someday. In fact, they may even tour Europe this April. 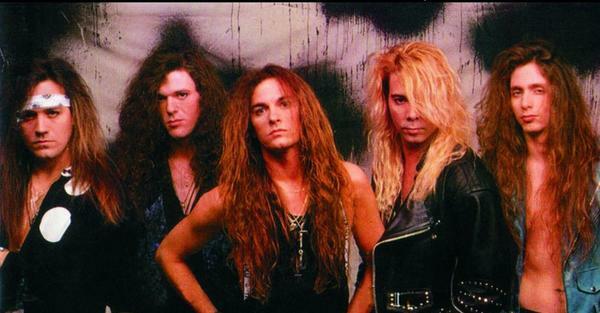 Back in 1995 while Blaze was on tour with Lillian Axe and his brother Craig Nunenmacher was on tour with Crowbar, he decided to do a little side project, which he eventually entitled Near Life Experience (NLE). According to Blaze, there were a lot of things that lead up to it, and it was obvious that he and his brother Craig needed to play together. “He is a phenomenal drummer and has a great creative mind. It just seemed natural that he and I should be playing together…I never really felt like I was putting Lillian Axe to bed permanently,” said Blaze. “We decided to take some time off an do other things, and those other things just got really good,” he added. In NLE Steve Blaze handles lead vocals in addition to playing lead guitar. Though Steve only sang background vocals in Lillian Axe, he was writing the lyrics and melody lines and sending demo tapes to Ron Taylor with his own vocals. When he did the same with NLE, his brother said “You are the voice for this band…we don’t need another singer,” so Blaze began singing for NLE. The rest of NLE includes Craig Nunenmacher on drums, Sam Poitevent on rhythm guitar, and Jeff “Okie” Okoneski on bass. According to Blaze, fans have trouble comparing the band to others musically since “it really has its own unique chemistry and sound, and doesn’t sound like anything else.” Blaze credits his early musical influences to aiding in his ability to maintain his own identity. He began playing flamenco/classical guitar at age seven, before listening to pop radio. And he got his first big break shortly after Lillian Axe formed, when the still very well known and popular Jim Dandy flew Blaze to Corpus Christi, TX to play on his six out of the ten tracks on his first solo record. Despite an offer to join Dandy’s band, Blaze decided to stay with Lillian Axe, since they were just getting started. When describing NLE, Blaze explained that he has a love for passionate and traumatic music, which was originally sparked by classical music that included piano, cello, and violin. And he tries to portray that effect in his own music, even with a heavy guitar sound. NLE’s music offers the heaviness Black Sabbath, while the stage show includes traumatic effects, which have been compared to that of Type-O Negative and Marilyn Manson. NLE has also remixed their song “New World Spirit” for a compilation album for Priority Records that is titled Rebirth of the Loud. The album, which is scheduled to be released in May, will feature a lot of heavy-hitting hard rock bands. NLE is the only unsigned band that will be on the album, and since they have been shopping around for a record deal, they hope that this will be a step in the right direction. Blaze may also be found on tour this year with the ’70s rock band Angel, which has reunited after about 15 years. He said that they flew him to New York and asked him to play in the band, replacing their original guitarist Punky Meadows. He may tour with them as long as it doesn’t interfere with NLE – his top priority. For now though, Angel’s plans to tour have been put on hold. 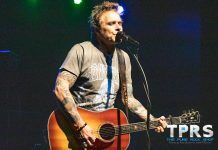 “I had been rocking my socks off for 15 years and just wanted to do something different for a change so we mellowed out a bit with some melodic pop songs with lots of harmonies and nice layering,” he added. They had no plans to do an album, but since many Lillian Axe fans were interested in what they were doing, Taylor and Smith did a three song tape and eventually released a full length CD, which they sold though their mailing list and a couple of distribution companies. Their project was entitled The Bridge, because the two believe that their music is the Bridge that links their hearts and souls to anyone who has connected with their music. “If you enjoy the mellow side of Lillian Axe, you should enjoy The Bridge,” said Taylor.